Wrinkles on your face are a sign of a life well-lived. But wrinkles on your trousers? No thank you! 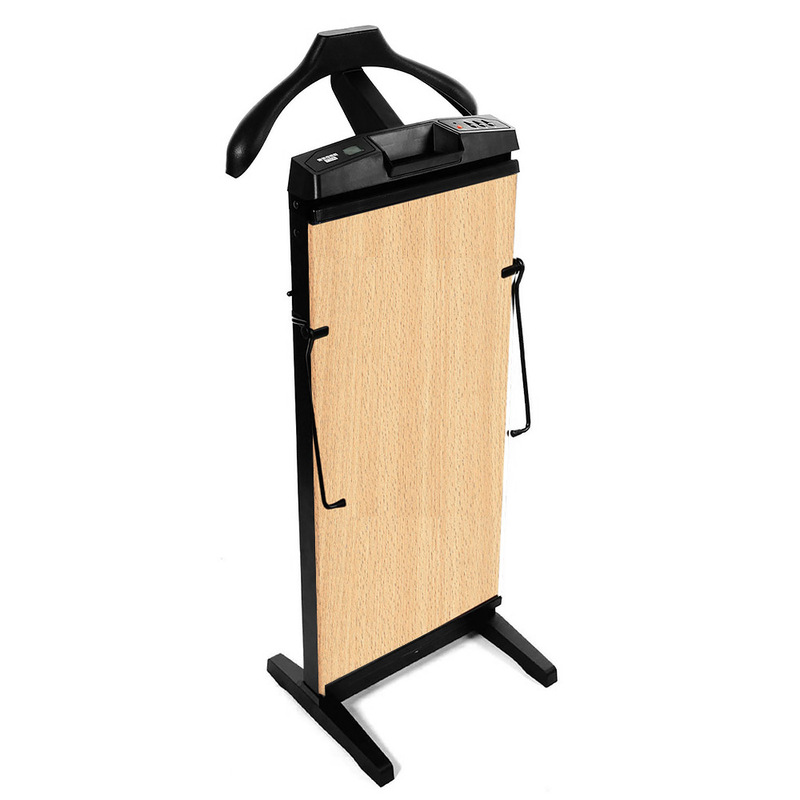 With the Corby Trouser Press, it’s easy to press your trousers. Just place them inside…and that’s it! The Corby Press works without steam to gently ease your trousers back into shape, pressing a sharp crease down the front. There’s even a timer setting, so you can put your trousers inside and go to bed. The Corby cuts off automatically once your trousers are pressed, leaving you with perfectly pressed pants first thing in the morning. You’ll never need to drag out the dreaded ironing board again! Stretcher Bar System removes wrinkles from behind the knees. Consumes only 250 watts of power. Three time settings of 15, 30, and 45 minutes. Comes complete with feet, coin tray, jacket hanger and bracket. Free standing, or can be mounted on the wall. Automatic shut-off and manual cancel option. Dimensions: 109 x 46.5 x 35.5cm (maximum).